911 Operator - Every Life Matters DLC: Steam - released! 911 Operator PS4 - released! 911 Operator iOS - released! 911 Operator Android - released! 911 Operator Xbox One - released! The game about the difficult work of people that manage emergency lines and services. Main task is to answer incoming calls and to react properly ­ give first aid instructions, advise, dispatch correct number of firemen / police / ambulances , or sometimes ­ just ignore the call. 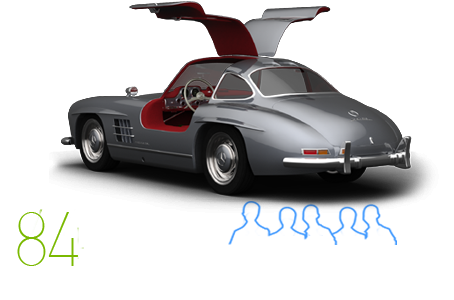 - 10 carefully prepared cities in campaign mode with specific events. The game looks solid and (with a little funding polish) could actually pass for an edutainment title. Three of the game’s developers have previously worked in different facets of public service. Additional consultation was also provided by professional officers and medics to make 911 Operator‘s experience as authentic as possible. Any brilliant feature is, you can choose to ‘work’ as an emergency lines dispatcher in over 8,000 cities, big or small, including New York, London, Moscow, Albuquerque, Ankara, Beirut, Busan, Cleveland, Philadelphia, and even tiny island state like Singapore. 911 Operator is a game about the difficult work of emergency lines dispatchers. Manage the teams of policeman, medics and fireman to many different cases. Answering emotional calls and try to help people. Dzięki OpenStreet Maps dostajemy możliwość rozgrywki w dowolnym mieście: Nowy Jork, Londyn, Warszawa czy też Łódź. Każdy będzie mógł spróbować swoich sił w ratowaniu zdrowia i życia w rodzinnym mieście czy też miejscu zamieszkania. "I am confident your game will be a huge success. I look forward to playing it." I can't wait when the game is ready! This is amazing idea and I have should this to all emergency dispatchers here and we are all impressed by the trailer. 4.3.2017 - 911 Operator on STEAM - thanks for 1st week! Big youtuber about 911 Operator - 3,2 mln subs. Big youtuber about 911 Operator - 2 mln subs. Big youtubers about 911 Operator - 2 mln subs. Big youtubers about 911 Operator - new gameplays coming! 911 Operator is a game about the difficult work of emergency lines dispatchers. Manage the teams of policeman, medics and fireman to many different cases. Answer emotional calls and try to help people! We plan to put over 50 different call types in the game - sometimes serious and dramatic, sometimes funny or irritating. Each recorded with emotions, and most often based on true events! Each dialog has a few different flows, and it is up to you which way will you choose, according to the situation. Will you choose to use the caller to help, or will you tell them to wait for services to arrive? Will they come on time? Will you be able to provide correct First Aid Instructions? Or maybe you should tell the caller that it is not a case for 911? During the conversations you will have to make hard choices. Sometimes you will have to provide real First Aid Instructions. This job is more difficult than you think, but we hope that you will learn some of the procedures as well. For example, we covered heart action stop, major injures, childbirth, choking, accidents, drowning and many other medical cases! Never know when they might be useful in real life! We made some rocket science to give an option to download and play on ANY REAL CITY in the world, thanks to OpenStreetMaps! Fight the crime and help people near your home in Free Game mode! Choose any larger city like New York, London, Berlin, Moscow.... or any smaller one like Albuquerque, Kaposvár, Windhuk, Sandomierz. Your choice, it will work, as well as over 8000 other cities! PS. The maps themself are not included in the game and can be downloaded for free. The gameplay itself divides in two modes - management and duty. During the duty mode your job is to answer the calls and dispatch adequate teams to the location, if you have them available. Together with the calls, you also receive other reports either from your teams or other operators. Each Duty represents a day of the operator's work. It takes about 10 minutes to play. After the Duty mode, you go to the management mode - there you can recruit additional team members, buy vehicles and equipment and watch an after action reports, where you can find out what happened to your callers. The main statistic of the game is Reputation, which goes up every time you successfully resolve a report, and goes down each time someone dies, criminals escape or you fail to resolve a report in given time. Another statistic is money - which you can get for special awards (like saving life or by avoiding major failures) or by giving the tickets for each reported minor offenses. There is a lot of content in the game, and more will come! In the campaign mode, you will play on different cities like San Francisco or Wachington DC, facing growing threats and more and more challenging tasks. Will you manage to operate 20 teams at once. We made a great effort to prepare a large, organized list of things that can happen in your city - starting from a cat on a tree, through injuries, fires, bombing and terrorist threats, accidents and natural catastrophes! Each of the emergency services has it's own set of vehicles and equipment, with adequate properties like speed, number of places for criminals or injured, and some additional effects! 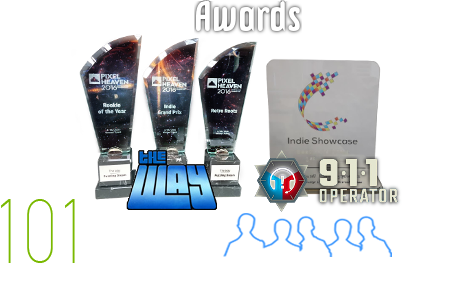 "Best Indie Game" award at Digital Dragons 2016 Indie Showcase goes to "911 Operator". We have won most prestigious indie game award in Poland! In our team we have Ian, our operator's voice, was an actual emergency services dispatcher in Canada. Among our developers, we have Peter, who also used to work as Fire Department Dispatcher, and Bartek, who worked over Police Information System project. We also consult the game content with professional policemen and medics, so do not worry about the reality of the game!